*If you didn’t just get my hilarious joke- get off of WordPress and pick up The Hitchhiker’s Guide to the Galaxy. If you did get my joke- well done. Now take a break. Arthur Dent wasn’t always the space traveling, mystery solving, meaning of life discovering man we know and love today. Arthur Dent was a quiet man who loved his tea and Trillian from afar. He never challenged the law or questioned authority. In the eyes of society, Arthur was a model citizen. Then how did this do-gooder happen up his new bestie Ford Prefect to form a friendship that is out of this world? 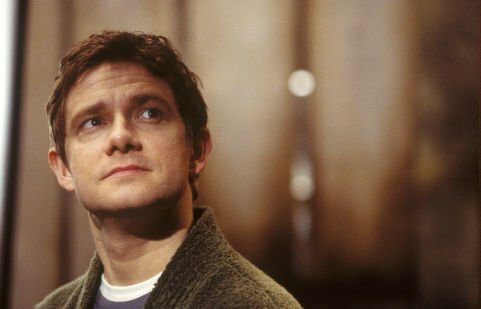 Hitchhiker’s Guide to the Galaxy: Arthur Dent Edition is the story of one man before he watched Earth end and his life begin. Join Arthur as he goes to work, makes the perfect tea and is ignorant to the importance of a good towel. Will Arthur be late for work when he over sleeps one morning? Will he win employee of the month after being a reliable yes-man? This prequel to the best selling series will answer all the questions you didn’t think to ask! Much like humans need air, you can’t feed Gremlins after midnight and the best way to have your news is with Huey Lewis, I need a creative outlet. Join me over the next year for a daily post of a random book or movie plot- some will be topical, some funny, some terrible and some half-way good. It's like a box of chocolates, you just never know what yadda yadda yadda.